Did you know it is only 155 days until Christmas? Since January I have been busy buying presents and I have to admit that I have nearly completed my Christmas shopping for Maxwell. Maxwell will be 3 years old this Christmas and will be celebrating his 3rd birthday 13 days before Christmas. Last year Ben and I managed to buy Maxwell so much, he still has 2 toy boxfuls of new toys to use. This year we will not be going so mad and we will be spending more money on bigger presents instead of lots of smaller things. This month I have bought plenty of bargains to fill Maxwell's stocking up. At the present moment Maxwell and I do not really play games however I am keen to encourage him to play games more. Priced at just £2.50 I thought this game would be perfect to get Maxwell's game collection started. The game looks fairly simple and I hope he enjoys it. We are huge fans of Orchard Toy games. We always find that Maxwell understands them well and they create hours of fun. We managed to bag this game for just £4.50 and we then managed to get a extra 30% off. I am looking forward to see Maxwell learn shopping lists as well as names of foods. Maxwell has always been keen to dress up so I thought this mask would be perfect. I paid just £4.50 for this and I thought it would keep him not only entertained but would be cool for his dressing up box. I am looking forward to playing with it at Christmas. Hopefully it doesn't scare Maxwell. Maxwell and I have started to do a lot more crafts so I thought these would be perfect for Maxwell's stocking. I paid just £1 for this set so I figured if they are not great to make then I have not lost much. I bought these for Maxwell as I thought they would be perfect to help him to learn and spell. I also thought they would be perfect to teach him new words. Priced at just £3 I thought they were a real bargain and since receiving them it is clear to see that they are good quality. As a child I adored my marble run and I thought Maxwell would also enjoy one. This marble run is fairly small which I thought would be perfect to set Maxwell off. I paid just £4 for this and I am looking forward to seeing Maxwell's face when he opens it this Christmas. Although I am unsure if this will really be suitable for Maxwell to play with at Christmas, I figured not only is it a fun game but also a learning tool. If Maxwell does not understand how to play the game, he could easily sit and count the wooden blocks and also balance them. I paid just £4 for this. 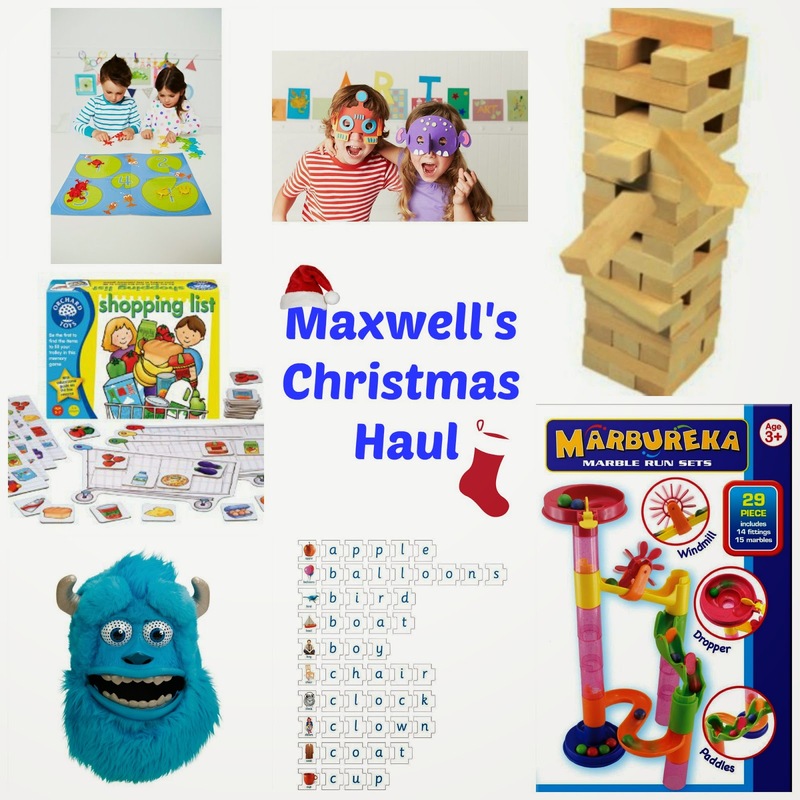 I hope you have enjoyed looking at what I have bought Maxwell so far for Christmas. At the present moment I am looking for a main present for him. I have had ideas of a wooden kitchen, scooter or perhaps a doll house. Have you started your Christmas shopping yet and what will your children be getting this Christmas? I get my boys to write a christmas list of things they would like then we get a few bits off the list so it is still a surprise for them, you are doing so well, i love the spell and learn game. gosh you're very organised. 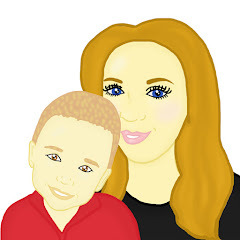 My youngest two have birthdays in December too - 18 days and 7 days before Christmas and my eldest is a month later so it's a busy present time for us. We limit ourselves to around £50 per child though, and the youngest two didn't get anything like that much last year.